Everyone gathered at the library at five-thirty. They were all armed, taking no chances in case the door was guarded. Some feared that any attempt to close the door might trigger some alarm. “ No one wants Mindy to get in trouble,” Emily said. Mindy shrugged off the worry and got everyone on the elevator. “Some orcs will be stranded here if we are successful,” she changed the subject. “It is not going to be easy hunting down the ones stranded here,” Jessica admitted, seriously. “We may have help with that,” Emily said, but she did not explain as the elevator stopped and the doors opened. Amina stuck her head out first. Bill was there, but she ignored him. “All clear,” Amina confirmed and the women poured out of the elevator. Only Mindy paused to offer Bill a quick kiss. Melissa and Maria went straight to their places and Maria began to sprinkle the liquid they had prepared around the door. Melissa opened her book and began to chant, throwing occasional bits of powder at the door, while Sara stood beside her and called on what she imagined might be a different power. She prayed. Emily set Diane, Greta, Hilde and Natasha at the four corners around the work. She kept herself and Jessica in the middle to watch the door. They stood beside Mindy and Amina. Mindy was there to make sure no part of the ritual was forgotten, and Amina kept her senses flared. As the ritual progressed, Amina shook her head. She was getting nothing. That was not right. When it came time to turn the dragon and open the door to complete the ritual, Mindy paused with her hand on the statue. “Wait a minute,” she said. “Bill?” The kiss caught up with her and it did not feel right. Besides, Bill still stood by the elevator, like he was waiting for new arrivals. Her Bill would have been in the middle of the action asking annoying questions. Amina pointed and Diane and Natasha left their corners to join Greta and Hilde and make a wall of spears. Mindy turned the dragon and turned it back with the words, “Keep working.” Then she grabbed her bow and stood beside Jessica and Emily. Three bows lifted as orcs poured out from the stacks of books and artifacts. They lined up to charge and only hesitated a second in the face of the spears. The girls at least looked like they knew what they were doing, even if they had only been learning to use them since the Granger incident last semester. Emily did not hesitate. Three arrows killed three orcs. Three more orcs fell from three spears, spears which were pulled from the hands of the girls. The fourth freshman, Natasha, pinned her orc to the side of a book case. But then, the spears were out of action and the freshmen only had their staffs. And there were still a half-dozen orcs to contend with. Emily waded forward and temporarily drove back three of the orcs, her sword flashing in the dim light of the sub-basement. Then the big one knocked her into a rack of artifacts, many of which fell and broke. That just made Emily mad. Natasha and Greta double-teamed one orc. Diane and Hilde took another. Amina and Mindy backed up the third. Emily, Jessica and Sara each took one, as one of the orcs ran around the wall of spears to get at the ritual from the back side, and only Sara stood there. The orc hesitated on sight of the Priestess, as if he knew who she was and her place in the tribe. She seemed much more frightening to the orc than even the witch might have been. He overcame his fear enough to make a half-hearted stab at her, but Sara shouted, “You shall not.” She easily blocked the sword with her shepherd’s crook and promptly clocked the orc on the head. She followed up by lifting the base of her crook between the orc’s legs, and the orc felt it. The third hit cracked the side of the orc’s head and sent him sprawling to the floor. The sword clattered away and Sara stood over the orc with the base of her crook against the orc’s temple. She could not finish it, and the orc sensed this. He made a grab for her leg and growled. 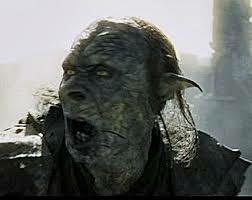 Sara cried as she rammed her crook three times into the orc’s temple. The blood burst forth. The orc let go of her leg. The orc died, and Sara wept. On the opposite side of the room, Natasha got knocked to the floor and Greta’s block of the orc’s back-swing was not entirely successful. Her arm got cut, but Natasha managed to pick up a fallen orc sword and rammed it into the orc’s chest. The orc collapsed and Greta, bleeding though she was, did not hesitate to finish the job. Emily killed her big orc in time to see Jessica ram an arrow into the eye of her assailant. Jessica’s staff broke in two, but with half a staff she kept the orc’s sword at bay while she snatched up her wicked army knife from the floor and shoved it up under the orc’s chin. Amina and Mindy had finished their enemy quick enough for Mindy to hover over an unconscious Bill. They had teamed up in close quarters combat with orcs before and were far better trained than the freshman. Hilde had a cut in her leg, but Diane was in one piece and standing over their orc growling and sweating. Everyone survived, and Emily breathed her relief until she heard a rumbling at the door. The tile doorway was open, and again Emily did not hesitate. The ritual Maria and Melissa were performing was seconds from completion, but they could not wait. 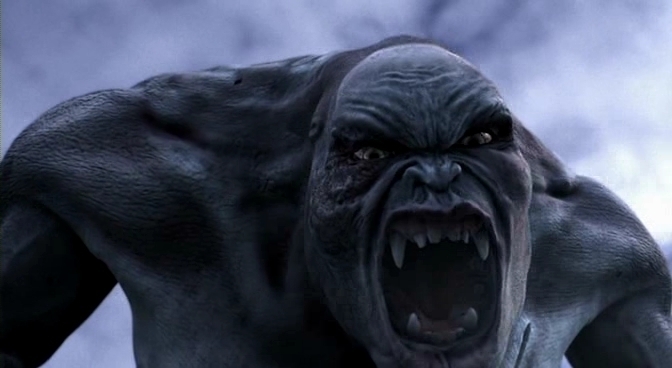 A monster of an orc showed itself at the door. Emily picked up the dragon statue and threw it. The big brute caught it and looked at it dumbly as Emily leapt and let out a war cry. Her feet bounced off the chest of the beast, but it was enough to make the beast stumble back through the door. At once there was a great flash of light, like when the elves arrived in the world, but this light came with a great wind. Everything not tied down got blown to the back wall before something of an implosion sucked everything back toward the tile door. Some artifacts were lost in the other world. Some cracked against the old Spanish tile floor as the door closed. People laid out flat and grabbed anything nailed down to keep from being sucked in themselves. And after all that drama, there was a small pop sound, and the door was closed. Melissa looked up at Emily as Emily stood and brushed herself off. “I finished just in time,” Melissa said. “But will the door stay closed?” Emily asked. Melissa looked at Mindy who was cradling Bill’s head. “It will,” Mindy said. “As long as the artifact stays on the other side.” She paused before she added, “Of course, that doesn’t prevent the person who opened the door from opening another if they find another artifact from Avalon.” Bill moaned and Mindy became lost to the conversation. Emily looked around. Jessica and Natasha were tending Greta’s cut arm, and Greta was trying not to cry. Maria was already laying hands on Hilde’s leg. She kept saying, “She won’t lose the leg,” but Diane leaned over the two on the ground and kept repeating, “I’m sorry. I’m sorry.” Amina hugged Sara who cried softly. Emily stepped over, said nothing, hugged the Priestess briefly, and turned to the wall. “Riverbend,” she called, not knowing if the elf would hear her. “Captain Riverbend,” she called again, and the wall began to shimmer with light. Everyone paid attention when Captain Riverbend stepped from the light. She came in her disguise of blue jeans and T, fancy cloak and glasses which she straightened, even as Maria straightened her glasses to get a better look at this newcomer. “Emily?” Riverbend could not help looking around the room at the devastation. “Yes?” Riverbend did not understand. “I’ll pay,” Sara quickly spoke up. “My dad has money,” Jessica spoke from the other side of the room. Riverbend looked again around the room. “It is an honor meeting you all. You have no idea.” She returned her eyes to Emily. “Majesty, I will fetch him right away.” She dipped her head and stepped back into the light as the light vanished. “You don’t want us here when Picker, Bluetooth and whoever show up?” Natasha asked. “Hopefully enough time,” Mindy said as she helped Bill walk and took one last look around at the devastation.